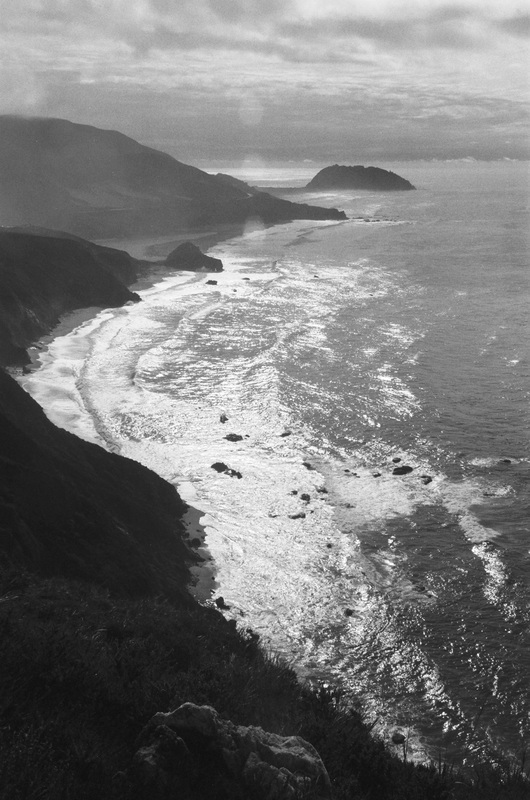 Every January, Sandie and I head to Big Sur to rejuvenate the spirits that attracted us forty years ago. 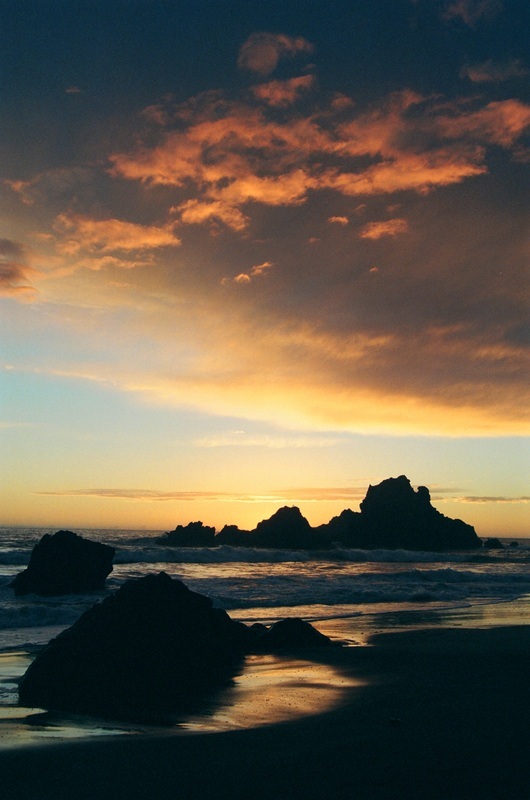 We spend our first afternoon at Pfeiffer Beach , find a sheltered niche in the cliffs, and nestle a bottle of Salamandre into Pfeiffer's unique magenta-streaked sands. We watch the pelicans skim the backlit breakers as the surf sheen slowly shifts from silver to brass while the rocky outcroppings gradually blacken into jagged silhouettes. Just before quenching into the cold Pacific, the setting sun pierces two tunnels with a spectacular flourish of golden spume. Uncannily, our first day has never been rained out in all these years. This year, our luck held, and we found a brief window between two winter squalls. We celebrated our good fortune with Jack and Renée. Chez Renée, for almost 20 years the best restaurant between San Francisco and Los Angeles, served as our special reward for a long harvest day or destination for one of those special days on the calendar. Jack and Renée don't have to keep restaurateurs' hours any more, but they know how to pack a beach basket with exorbitant goodness and laughter! 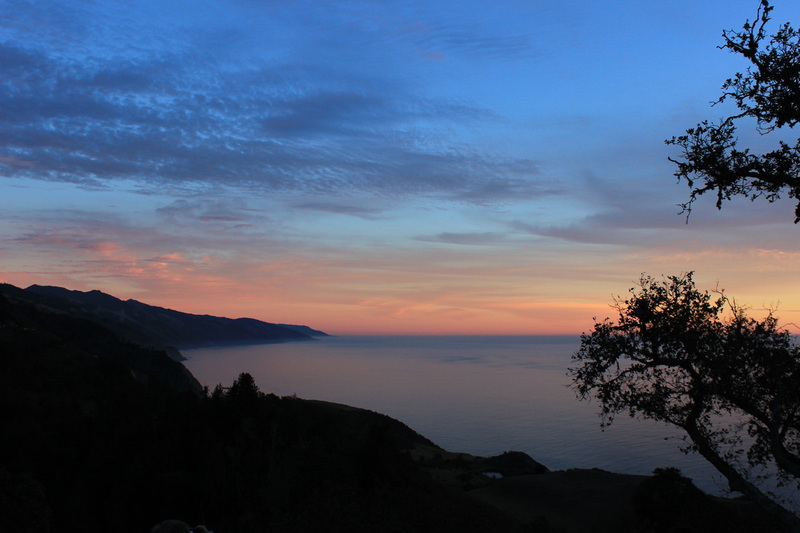 To understand your grandeur of Big Sur , of course, one must hike to the East as well as gander to the West. We followed the slippery Tanbark Trail through massive redwoods along Partington Creek as the angular winter light played with cascades of clear water. Emerald moss and ferns draped every boulder, and every breath inhaled the loamy smell of wet forest. Happily sated, we headed back North. A winged apparition flashed across Highway One just above the car. 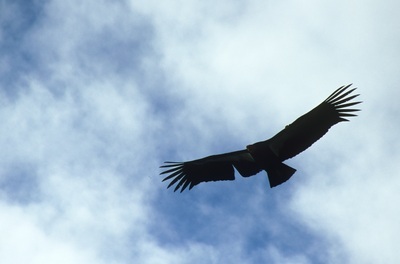 I had never seen a California Condor before, but I knew that not long ago, the world population was down to barely a dozen, that the largest North American birds boast 10 foot wingspans and white fletched underarms…and now radios, too. We pulled off the road and looked down to see not one…but seven…condors taking off from a perch in the chaparral and soaring over a nearly vertical cliff 1000 feet above the pounding ocean. Hang glider heaven! The B-52 birds obliged us with aerodynamic wonderment for an hour, but then we saw something that I believe can only be experienced in Big Sur. In the same field of view with two condors, a migrating Grey Whale spouted a half mile offshore. These two huge, totally different, magnificently adapted creatures are surviving against tall odds…paradoxically benefiting from the good works of the same mankind that nearly rendered their ancestors extinct. Maybe there is hope for people, too, if we can direct this same goodwill toward other men and women. Experiences like this call for more than rosy prose and exclamation points. They beckon the corkscrew to duty. Once the driving was done, we hoisted a bottle of Primitivo, an apple, a loaf of bread, and the last of Jack's cheese to toast the high flying hopes of baby condors. You don't need wings, flukes, or even a radio beacon to share some wine with us. Come visit!